We understand the positive impact of consistent education and modeling when it comes to infant safe sleep. 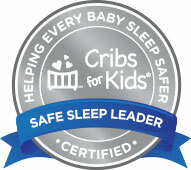 To that end, Cribs for Kids®, in conjunction with numerous health and safety organizations, is proud to introduce The National Safe Sleep Hospital Certification Program: a hospital certification program which recognizes hospitals that demonstrate a commitment to community leadership for best practices and education on infant sleep safety. 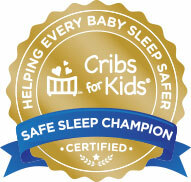 The initiative has 3 levels of Safe Sleep Certification, with each step up the ladder adding a component aimed toward a more comprehensive safe sleep program, culminating in the designation of Certified Safe Sleep Champion. Hospitals who participate in HALO’s Safer Way to Sleep® modeling program, which utilizes the HALO® SleepSack® swaddle to model a blanket-free environment in the birth center and NICU, will qualify for the highest levels of certification. Plus, there are no fees for applying for certification through this program. If your hospital is interested in learning how to implement a Infant Safe Sleep Program or if your hospital already has a program in place and would like to benefit by being recognized for it, please contact us today. 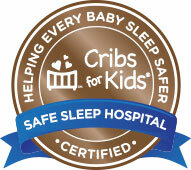 Visit the Cribs for Kids Hospital Initiative Tool Kit for instructions and resources to implement a safe sleep program. Contact HALO to learn more about our Safer Way to Sleep Modeling Program. Educate parents on the importance of safe sleep practices, and implement these practices in the hospital setting. Replace regular receiving blankets in nursery and NICU with wearable blankets to model a blanket-free sleep environment. Evaluation annually through internal audit PDSA cycles. Affiliate with or become a local Cribs for Kids® partner and provide safe sleep alternatives to at risk parents in your community. Provide community and media outreach on safe slep in your comunity. Since 1998, Cribs for Kids® has been making an impact on the rates of babies dying of accidental, sleep-related death due to unsafe sleeping environments. Every year in the U.S., there are over 3,500 infant sleep-related deaths due to accidental suffocation, strangulation, or undetermined causes during sleep. The mission of Cribs for Kids® is to prevent these deaths by educating parents and caregivers on the importance of practicing safe sleep for infants, and by providing Graco® Pack ‘n Play® portable cribs and a HALO® SleepSack® wearable blanket to families who, otherwise, cannot afford a safe place for their babies to sleep. 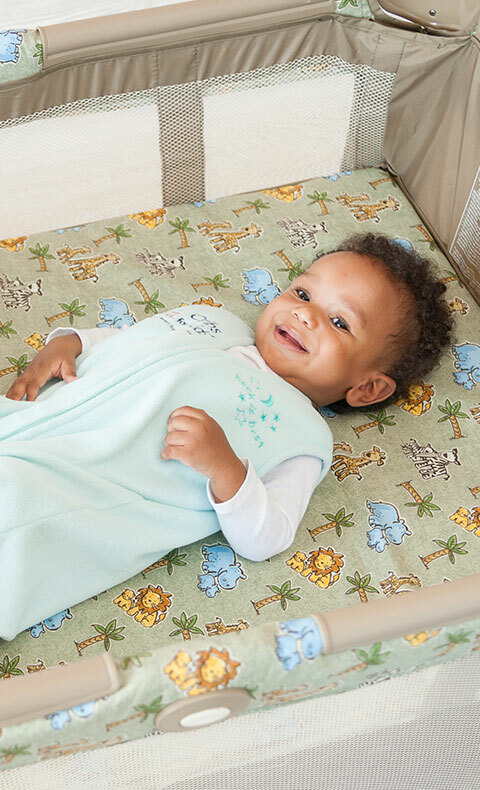 Cribs for Kids® currently has more than 500 Partners throughout the United States that implement our infant safe sleep program in their communities. Learn more at www.CribsforKids.org.